We all know very well that the battery of smartphones is one of the most essential elements that can really give real headaches. Although the advice to charge it correctly is numerous, but, the fact is that little by little, it suffers failures over time. Hence, more than once you might have asked yourself when you should change your smartphone’s battery. 1.4 Should we change the battery or change the smartphone? The battery of smartphones is one of the most essential elements that can really give real headaches. Although the advice to charge it correctly is numerous, but, the fact is that little by little, it suffers failures over time. Hence, more than once you might have asked yourself when you should change your smartphone’s battery. In general, the life of a lithium battery is between 300 and 500 cycles before it degrades significantly. Each cycle corresponds to a charge from 0 to 100 and is cumulative, which means that if one day you charge 40% of the battery and the next 60%, you have completed the full cycle on the second day. However, you should keep in mind that all these are approximate data, but, the fact is that we could summarize it easily. It is the most obvious sign, as just after the first year of use, the health of our smartphone battery may begin to show signs of degradation. One of the most obvious is that it lasts much less than at the beginning it was, although you still use your smartphone as always you do. 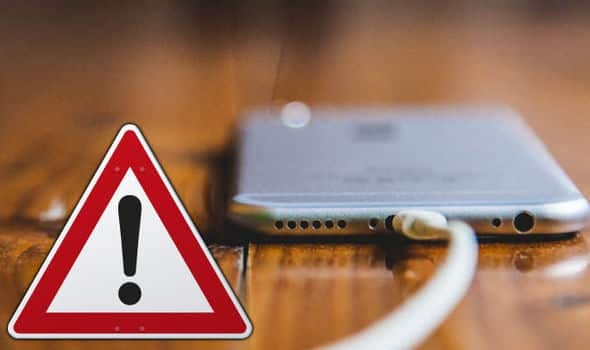 There were old beliefs behind that it was bad for the battery of the smartphone to leave it on charge overnight and until it reached one hundred percent of charge. With the arrival of lithium batteries, those cultures were left behind to make life a little easier for us. If you notice that the percentage of the battery does not drop gradually, it may be indicative that it is not in good condition. It means the battery is discharged by jumping, going from 50 to 20 percent in a matter of minutes even if you are not doing anything on your smartphone. Hence, a damaged battery is usually charged without following a gradual progression, going, for example, from 10 to 40 percent in just a few minutes. Also analyze if there is any variation in the process of full charge of the battery, as if each time is smaller, it may be indicative that something is wrong. 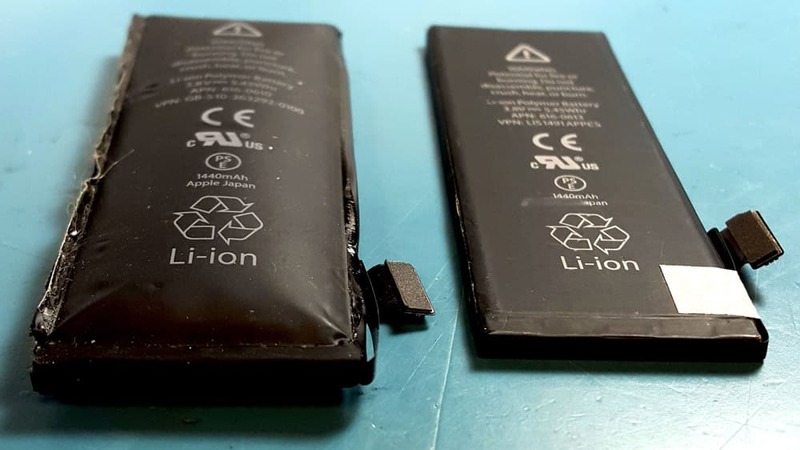 Nowadays almost all the smartphones come with non-removable batteries, hence, if before we could turn off the phone and remove the battery ourselves, now this process is really complicated as if we want to do so, then surely we will need the help of a professional to do it most of the time. However, at that moment only we can observe the physical state of the battery, see if there is any physical deformation or signs of corrosion near the metal parts. In addition, one of the symptoms of the poor state of the battery is swelling. Although at first sight, it is difficult to observe, you can turn the battery on a flat surface to know if it is swelled or not. If the battery is in good condition, it will not turn well, but if it has any swollen parts, it will simply rotate very easily. In the case of the unibody, smartphones we could also observe a small opening in the board of the sides as a result of this swelling. It is true that it is quite difficult to see from the naked eye, but the fact is that it can happen. 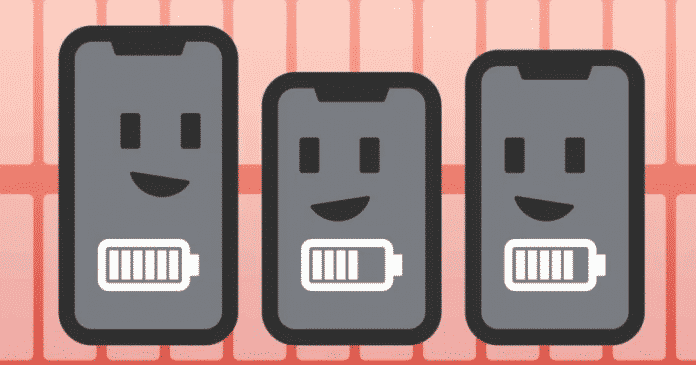 Should we change the battery or change the smartphone? Changing your mobile’s battery depends merely on many factors. If it is a smartphone that does not reach the age of two years and is low-end, then you can simply find solutions in the market at a very low price. If it is high-end, the thing becomes more expensive, as a general rule, any repair on mobile with premium features usually has a high price. Hence, at that time it may be profitable to change the smartphone. So, what do you think about this? Simply share all your views and thoughts in the comment section below. And if you liked this explanatory article then simply do not forget to share this explanatory article with your friends and family.